If you’ve already checked the Louvre off your bucket list, get ready to put it back on. 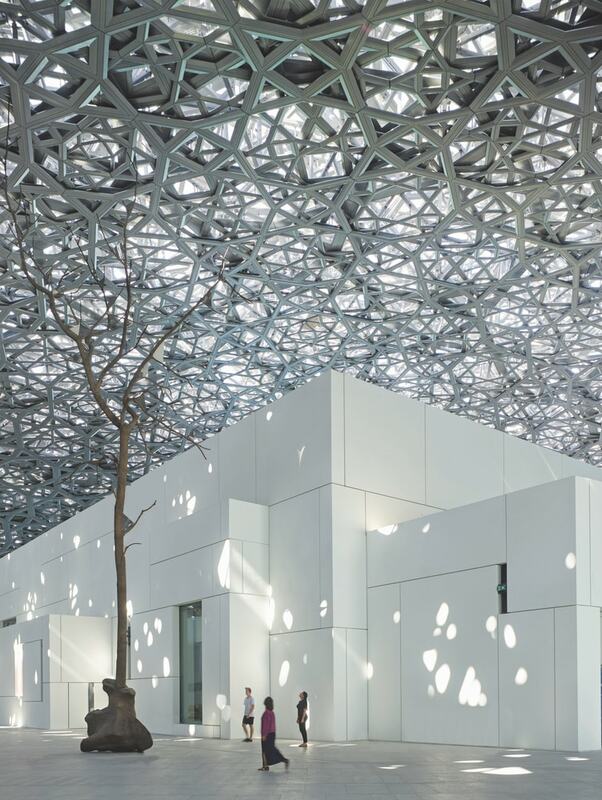 A second Louvre, in glitzy Abu Dhabi, is quickly becoming a “must” for art lovers and culture vultures who aren’t afraid of a little paradigm shift. 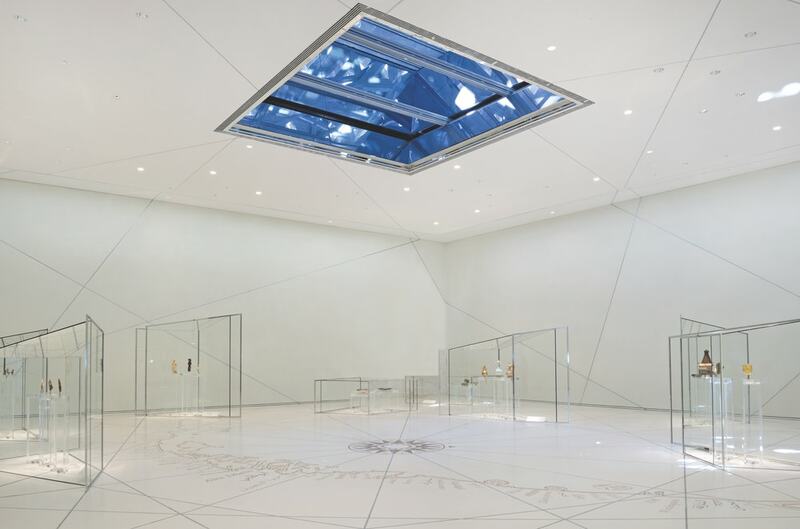 The Louvre’s new iteration is the result of a groundbreaking cross-cultural collaboration between France and Abu Dhabi. 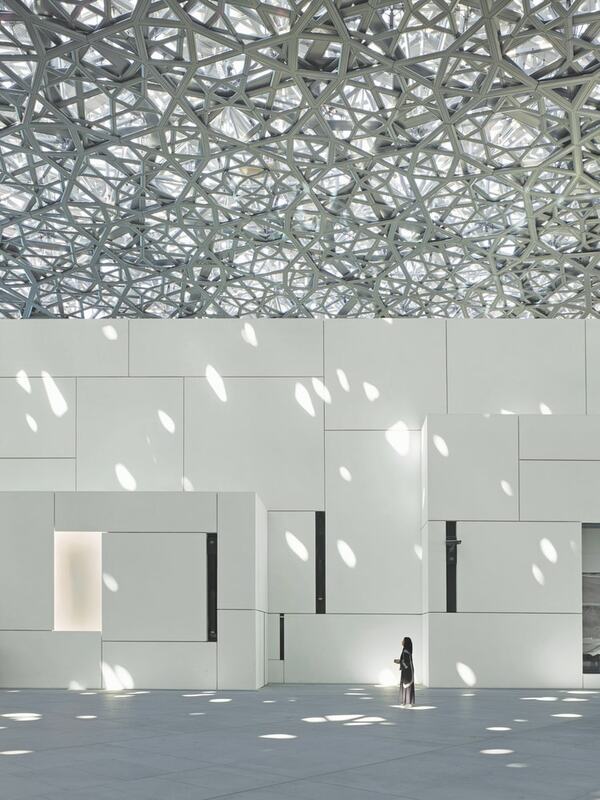 Its public debut on November 11, 2017, ten years in the making, gave the world its first peek inside Louvre Abu Dhabi, which was designed by renowned architect Jean Nouvel. 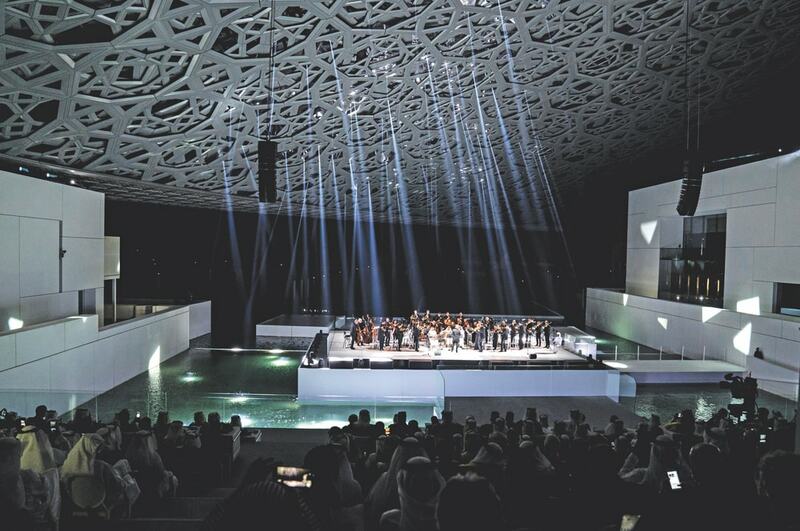 Part of a cultural district on Saadiyat Island that will soon boast the Zayed National Museum and Guggenheim Abu Dhabi as neighbors, Louvre Abu Dhabi is raising the bar regarding scope, design, and mission. This strategy makes it impossible to escape the similarities between Sumerian priest-kings and Egyptian pharaohs, for example, or mutual influences between China and the Islamic World. 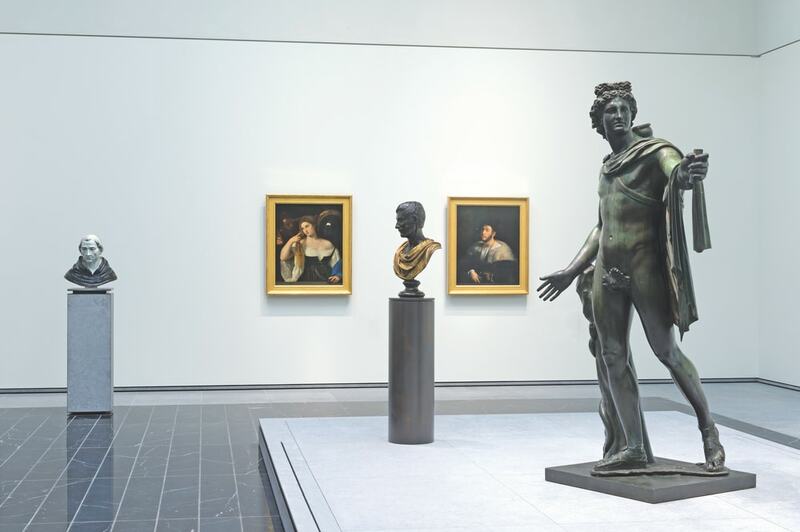 But it's also impossible to ignore that a variation in the Louvre’s physical location, from Paris to the Arabian Peninsula, brings with it a shift in East–West perspective. As Jean-François Charnier, scientific and cultural director of Agence France-Muséums, points out, the concept of the West as the center of history and civilization from the Renaissance on is incomplete at best. “Western modernity is reconsidered here in Abu Dhabi, above all in light of what the British anthropologist Jack Goody called the ‘theft of history’ perpetrated by the West, which believed itself to be ‘modern,’ at the expense of other civilizations, which were supposedly not,” he says. 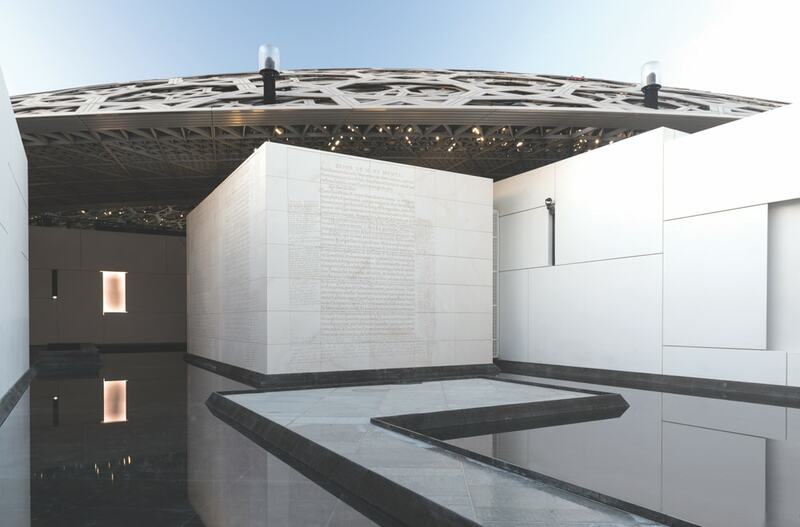 Louvre Abu Dhabi tells its story with an ever-expanding collection of six hundred artworks and artifacts spanning human history. 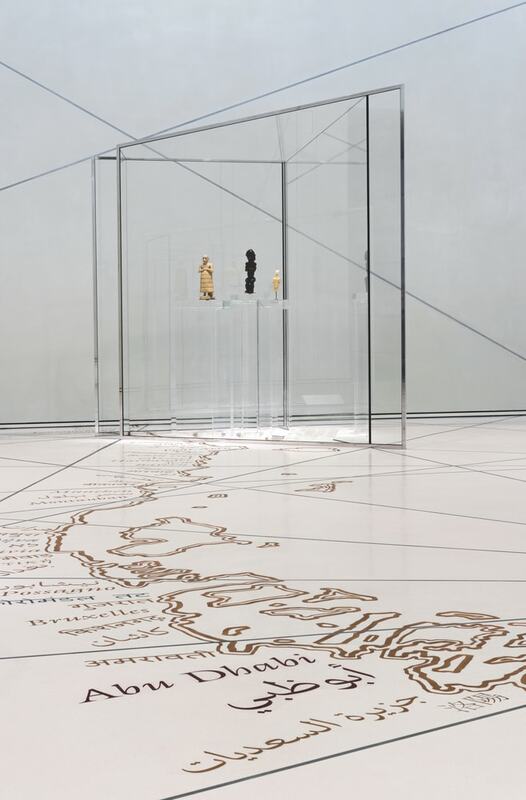 Louvre Abu Dhabi tells its story with an ever-expanding collection of six hundred artworks and artifacts spanning human history. 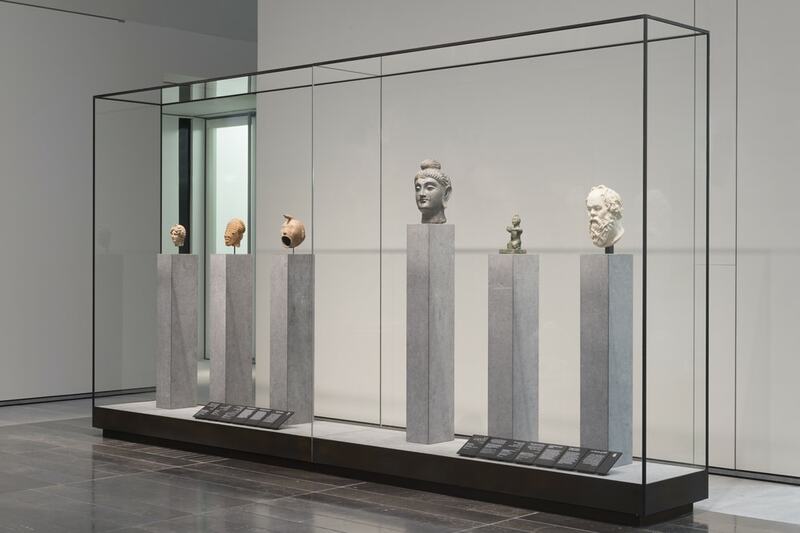 Arranged into twelve chapters across the museum’s galleries, the time line starts with Gallery 1: The First Villages, which highlights relics from the Near East, East Africa, China, and Central America circa 10,000 BCE. By the time guests reach Gallery 12: A Global Stage, they will have traveled from antiquity to the twenty-first century and its preoccupation with technology and identity. The museum building itself is an architectural masterpiece teeming with unique elements, starting with its massive dome. Measuring nearly six hundred feet in diameter, the dome covers much of the Louvre Abu Dhabi’s fifty-five-building complex and is visible from the Abu Dhabi city center. Adding to the museum’s awe factor is its island setting. Surrounded by water, it’s reachable only by boat and uses waterfront promenades to link the buildings. 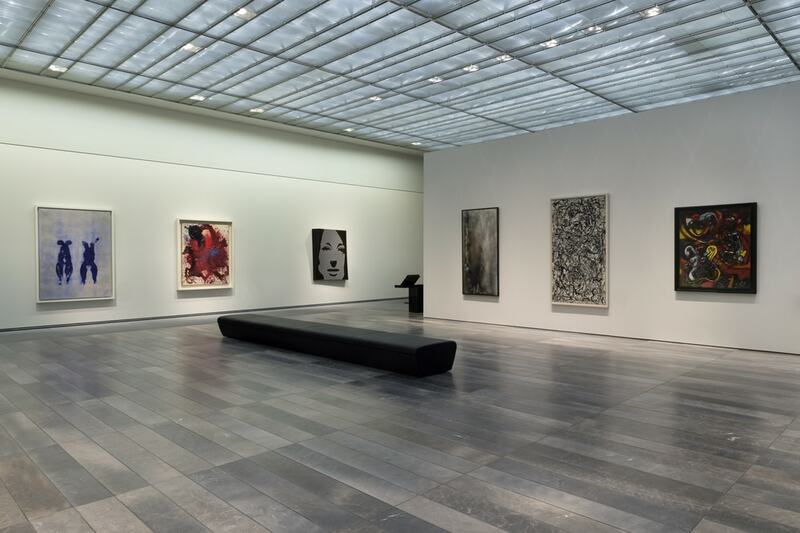 Throughout seventy thousand square feet of gallery space, visitors will explore the permanent collection, as well as twenty-eight works on loan from museums and cultural institutions in the Arab world and three hundred works on loan from French museums. One highlight: the Musée du Louvre’s La Belle Ferronnière by Leonardo da Vinci. 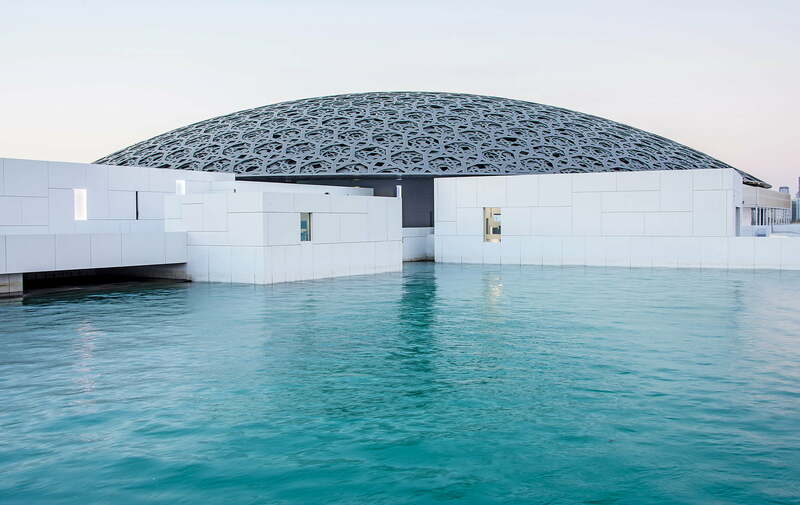 That French connection will endure for some time, as Louvre Abu Dhabi will have access to seventeen Louvre partner organizations such as the Musée d’Orsay, the Château de Versailles, and the Bibliothèque nationale de France for the next decade. And while the museum will use the Louvre name for thirty-plus years, it is, in fact, an independent institution that intends to make a distinct mark on the world. 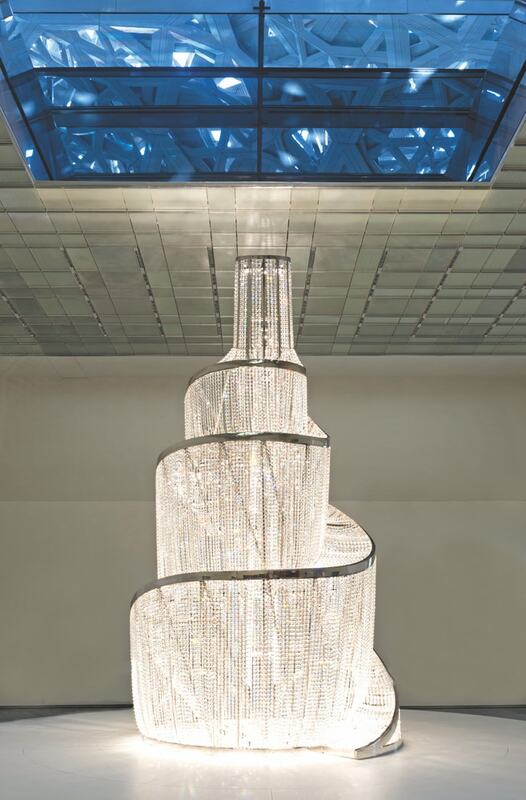 As part of that pursuit, Louvre Abu Dhabi will invite extraordinary contemporary artists to create site-specific installations multiple times a year. The first two commissions were in place for the November opening: Germination by Giuseppe Penone and For Louvre Abu Dhabi by Jenny Holzer. And in December, the museum launched From One Louvre to Another: Opening a Museum for Everyone as its inaugural special exhibition. 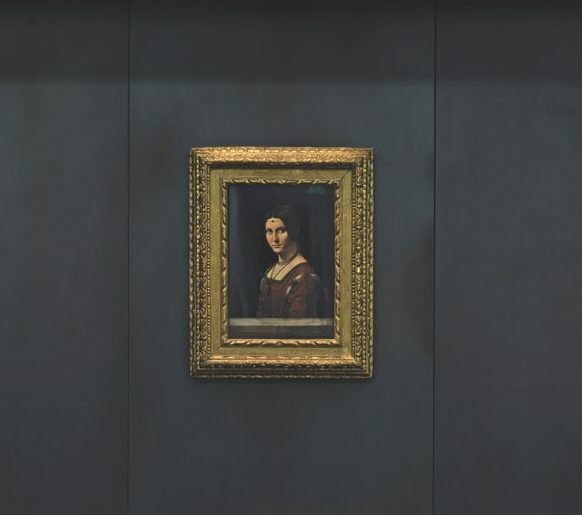 Tracing the history of the Musée du Louvre in Paris in the eighteenth century, it features 150 paintings, sculptures, decorative arts, and other pieces, mostly from Musée du Louvre collections.